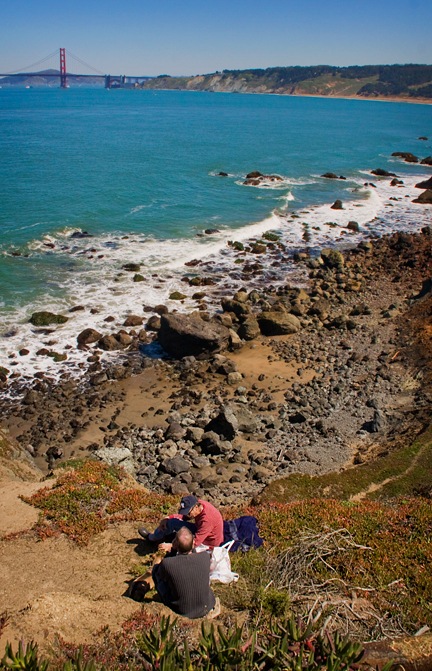 Perhaps the most beautiful hike in San Francisco is the Land's End Trail, a segment of the city's longer Coastal Trail. 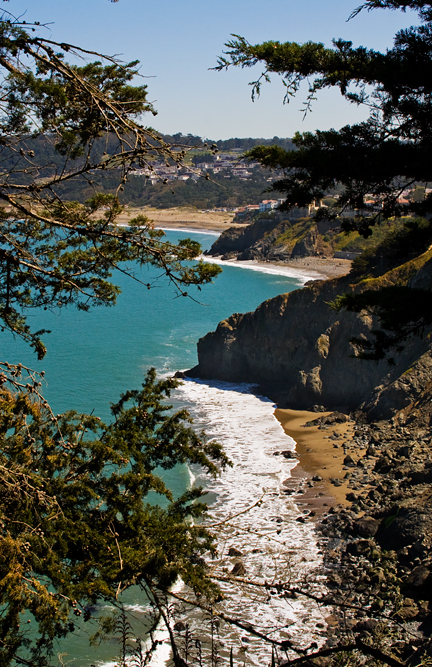 The Land's End Trail connects two of the Golden Gate's most popular landmarks: the Cliff's House and the Legion of Honor. 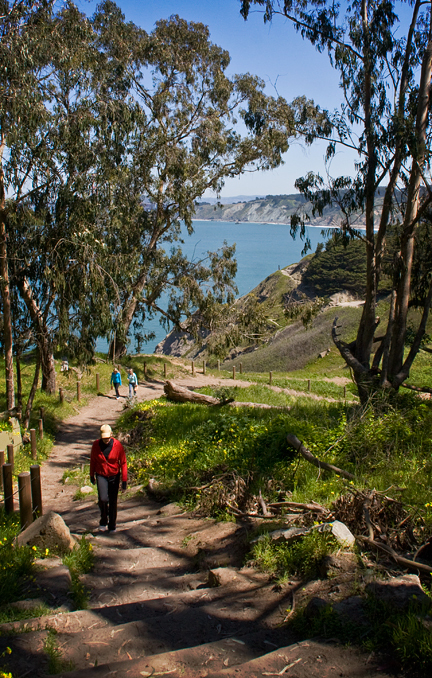 The 3.5 mile roundtrip trail offers high cliff top paths through cypress trees and 30-mile views down the California coast. The westernmost promontory on the trail is Point Lobos, named for the sea lions that live there. In the 1880s, locals would pay a nickel for a ride along these cliffs in an open-air railroad carriage. Today only hikers and dogs on leashes can take in the views. The area's wild dramatic and rocky coast was also the site of a dozens of shipwrecks. Remains of three ships, Ohioon, Lyman Stewart, and the Frank Buck are still visible. Other sites along the trail include the USS San Francisco memorial, the Sutro Baths ruins, and the gun batteries of West Fort Miley. 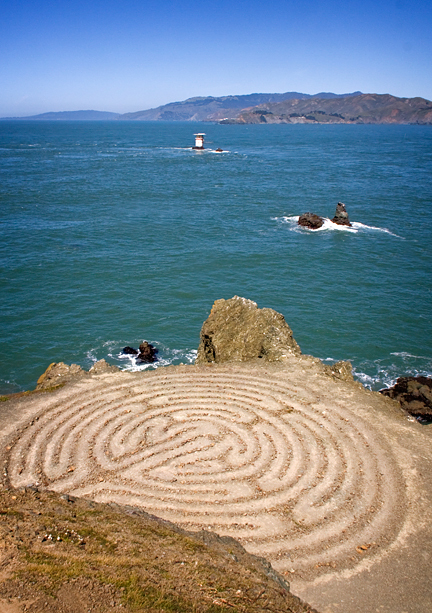 Pictured above is a rock labyrinth laid out above Mile Rock Beach.